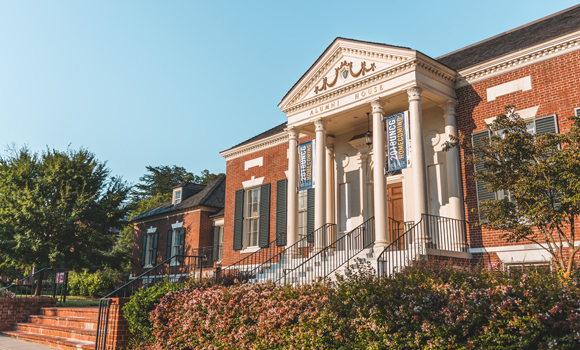 UNC Greensboro today announced the addition of two new members to its Board of Trustees. Mae Douglas and Linda Sloan, both UNCG Alumni with tremendous business, civic, and community credentials, were appointed by the UNC System Board of Governors on March 22 to four-year terms beginning July 1, 2019. Douglas and Sloan will replace Charles Blackmon and Susan Safran, who rotate off the Board as of June 30, following eight and 10 years of service, respectively. Mae Douglas is a native of Greensboro who holds a bachelor of arts in sociology from UNCG. She is an active and engaged community leader with an established, decorated career as a human resources executive, culminating with her tenure as a highly respected executive vice-president and chief people officer for Cox Communications. Under her leadership, Cox received recognition for its people practices from Women in Cable Telecommunications and from Diversity, Inc. as one of the top 50 companies for diversity and inclusion. Douglas previously served on UNCG’s Excellence Foundation Board of Directors as well as the boards for Gateway University Research Park and Friends of the UNCG Libraries. In 2015, she established the Mae Douglas Fund in honor of her nephew, Sterling Douglas, to support the Library’s Digital Media Commons and name its Presentation Practice Room. “Mae’s professional background and passion, along with her commitment to leading diversity and inclusion initiatives and setting human capital strategy, align perfectly with the UNCG mission, core values, and strategic plan,” said UNCG Board of Trustees Chairman Brad Hayes. Linda Sloan is a dynamic leader in the Greensboro community, particularly in the area of theater and the arts. She is a UNCG alumna with a master’s in fine arts. Sloan and her husband, Tom, have established five scholarships at UNCG, including the Lisbeth V. Stevens Scholarship Fund in 1988 in memory of Tom’s aunt, and the Harry B. and Edith V. Sloan Memorial Scholarship in Science, Math & Health in 1997, in memory of Tom’s parents. Linda has served on the Board of Visitors for the College of Visual and Performing Arts (CVPA) and the Weatherspoon Arts Foundation Board. She and Tom have hosted welcome dinners at their New York City home during the annual UNCG CVPA Theatre Industry Showcase and at their Greensboro home for our Library’s Jackson Society. She taught for 18 years at Greensboro Day School, where she established their ongoing theater program. She was instrumental in founding the Women to Women Endowment of the Community Foundation. She was also the founding board chair of Triad Stage, a role she served in for seven years. Her community involvement also includes chairperson of the United Arts Council and Greenhill Art Gallery, as well as service on several additional arts organizations and community boards. The Board of Governors also reappointed Brad Hayes and Mona Edwards to the UNCG Board for second four-year terms. Hayes serves as chairman of both the Board and the Executive Committee. He has been a member of the Board since 2014. Edwards serves as secretary and has been a member since 2015. She chairs the Grievance Committee. Their appointments run through June 30, 2023.